'Anthem' nearly as much as I would of had chandler not remixed this. My opinion, track A2 could've been its own 12" single with another track on the other side. This version reached number one in the U.S. dance chart. Saffron DID sing the lyrics for the live shows, although she obviously lip-synced for the video. This is the 1991 re-release of Anthem, which found it's way into the UK top ten thanks to its uplifting vocals and samples including Gwen Guthrie. 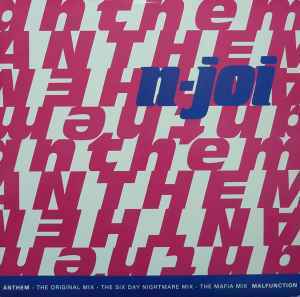 Of all N-Joi releases, this is probably the one which is best known commercially – but it benefits from a couple of decent remixes and the inclusion of the mighty Malfunction on side B.